Content curation platform and RSS aggregator Feedly has today launched a range of new features aimed at making it a more collaborative reading platform. Announced on stage at the Evernote conference, today’s updates lay the groundwork for additional social-oriented features coming in 2015. Among the changes is the option to have a public-facing ‘profile’ page and alias, which is really there to support a new collection sharing feature. This, as its name suggests, allows users to create and share collections with friends, family, fans or, well, anyone. 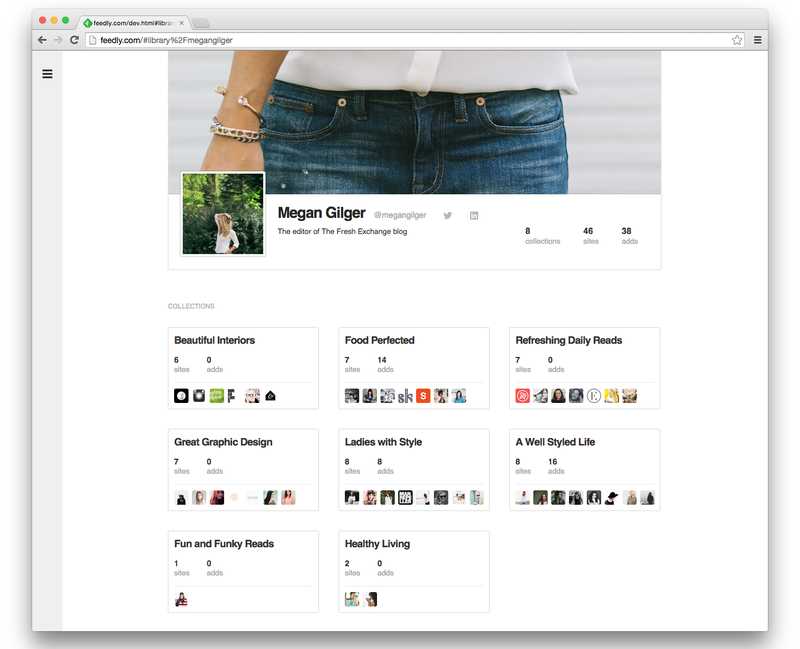 Collections, of course, are feeds grouped around a certain topic, curated by the user. As of today, there are collections from handpicked “thought leaders”, Feedly said, adding that “passionate users” will be invited to use the feature in the coming weeks. Within three months, all Feedly Pro users should get access to the feature and then it will be rolled out to Feedly’s full 15 million members sometime in Q1 next year. The idea behind the push is to unlock the power of shared knowledge, a company spokesperson explained to TNW. We have a huge community on Feedly – 15 million registered users – but there has been no way for that community to interact with each other on our platform. Feedly connects to over 40 million sources and people have been curating these amazing lists of the best sites in myriad topics, but that knowledge has remained locked up in each person’s Feedly. We believe knowledge is additive, and that we can learn better the more we can interact with one another, so we’re beginning to build collaboration tools into Feedly. This is a first step in that direction. A spokesperson for the company assured us that, while the platform will be offering more collaborative options, you’re not obliged to share your lists. We’re not going to force anyone to open up and expose what they read, of course, and users will still be able to use Feedly as they always have. Reading has traditionally been something solitary, and we definitely respect that.